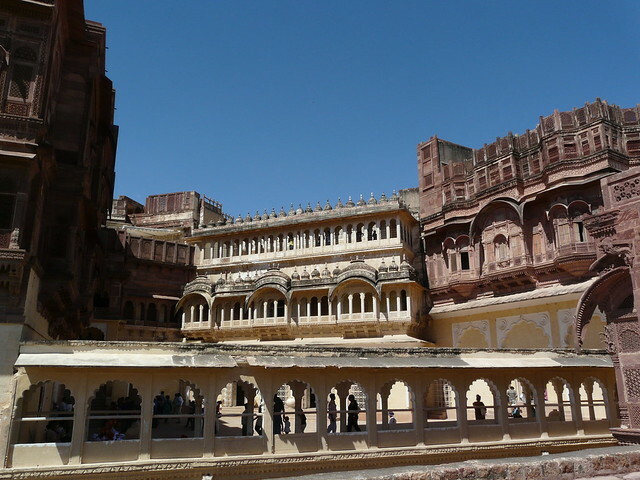 Mehrangarh Fort is a fifteenth century fort stands tall and majestic atop a sandstone hill. The fort really towers above the city, captivating the skyline with awe and grandeur. From the fort, cannon guns gaze out over Rajasthan. Inside the fort there are beautiful halls and corridors. At night, this fort is bathed in blue light. This is Jodhpur’s main attraction. Ther is a museum inside the fort and it has one of the best collections of paintings, Rajputana arms, royal costumes etc.